ADDRESS:61103 Kharkov, side-street Balakireva, 3а. Prof. Meshchaninov Kharkov City Clinical Emergency Hospital, building #2. 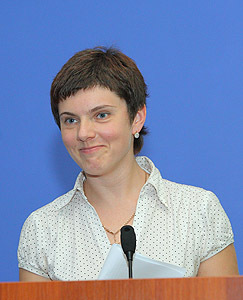 Volkova Julia Viktorivna: Acting as department chief, MD, professor. Khizhniak Anatoliy Antonovich: MD, professor. Kudinova Olga Vasilivna: PhD, docent (head teacher). Mikhnevich Constantine Georgiyovych: PhD, docent (responsible for science work). Naumenko Victor Olexandrovych: PhD, docent (responsible for interns «Anesthesiology and intensive care»). Dubovskaya Svetlana Stanislavivna: PhD, docent (responsible for interns «Emergency medicine»). Sokolov Andriy Stanislavovych: PhD, docent (responsible for english language students). Bitchuk Nikolay Denysovych: PhD, department assistant. 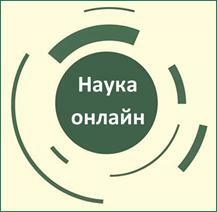 Skoroplit Sergiy Mykolayovych: department assistant (responsible for materials organization, adaptation and siting on KNMU repository, department e-mail monitoring). Lantukhova Natalia Dmytrivna: PhD, department assistant (responsible for treatment work). Bausov Evgen Olexandrovych: department assistant (responsible for civil defense, safety rules, pedagogical work). Dolzenko Marina Olexandrivna: department assistant. Lizogub Nikolay Vitaliyovych: PhD, department assistant (part-time worker). - «The bases of life support» for non-medical workers. - advanced topical training courses for anesthesiologists «Anesthesiology and intensive care in neurosurgery and neurology». the anesthesiology, regional anesthesia and intensive care unit. The research work topic of the Department is «The prophylaxis of the stress-induced organ affection». The next research directions are being developed: multiple organ failure of traumatic and vascular genesis, outpatient anesthesia, anesthesia in elderly, anesthesia in patients with diabetes mellitus. During last years the Department is developing the next scientific topics: «The prophylaxis of the stress-induced organ affection», «Multiple organ failure of traumatic and vascular genesis», «Anti-stress care of brain injury of different etiology», «Intensive care of endotoxic shock with the patients with intercurrent cardiovascular system pathology». It has been published more than 220 articles in specialized scientific editions, got 16 copyright certificates. It has been developed 10 method recommendations agreed with Ukrainian Scientific Methodological Center and Patent Licensing Center and published under the stamp of the Ministry of health. - S.P. Grigoriev Medical Radiology Institute of Ukraine Medical Sciences Academy. The Department takes active part in work of Kharkov Anesthesiologists Association, National Ukrainian Anesthesiologists Congress (every year), ISIC-conferences, interuniversity young scientists conferences KNMU, World Federation Ukrainian of Doctor Associations, science-practical conference of neurologists of north-west region of Russian Federation, Ukrainian Doctor Associations Congresses, Ukraine Anesthesiologists Congresses. In 2009 the Department took part in Russian Anesthesiologists-Reanimatologists Congress with international partnership by 100-year anniversary of academic V.A. Negovskiy. It had been done stand accounts in I National Congress «Cardioneurology» in Moscow, XI International Congress «New strategies in neurology» and satellite symposium «Luster and poverty of cytoprotection» organized in Sudak with Russian Government Medical Univesity (Moscow) and leading Sanct-Petersbourg toxicologists help. In 2011 the Department took active part in conference «Actual questions of gerontology and geriatrics», in IV National Congress «People and drugs of Ukraine». In 2012 the Department took part in III Congress of emergency «Acute emergency states in physician practice: diagnostic, treatment, prophylaxis». In 2013 the Department took part in science-practical conference «Actual questions of emergency medicine». In 2011-2016 years members of the department attended the annual European Congress of Anesthesiologists, made reports in Amsterdam, Netherlands (2011), Paris, France (2012), Barcelona, ​​Spain (2013), Stockholm, Sweden (2014), Berlin, Germany (2015), London, England (2016). In 2014 Research Materials of Department were presented at the World Congress on Pain «WCRAPT-2014" Capetown, South Africa. In 2014-2016 staffers of the department were trained in Krakow, Poland (2014); Munich, Germany (2015); Tartu, Estonia (2016). The workers of the Department are curators in the base department clinics: Prof. Meshchaninov Kharkov City Clinical Emergency Hospital and Kharkov Region Clinical Hospital, and also in Kharkov hospitals. The developing of teaching of anesthesiology and reanimatology in KNMU is closely connected with the Faculty Surgery Department, where the Department of emergency medicine, anesthesiology and intencive care had been borning and developing. Professors T.V. Vancetti, V.M. Shamov, A.Z. Ceitlin, A.A. Shalimov, I.S. Zhorov, I.G. Mitasov, N.I. Obolentsev, M.F. Shevchenko promoted substantially to that. It is known that T.V. Vancetti one of first in Ukraine had used either narcosis in Kharkov 12-14.02.1847. 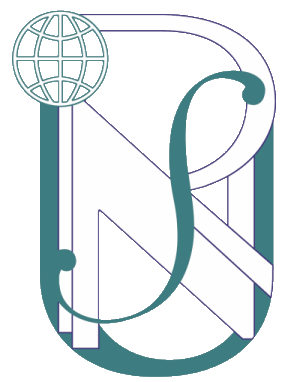 In 1954 the anesthesiology group (N.I. Obolentsev, I.P. Pluzhnic, F.S. Tkach and 2 nurses-anesthetists) was created in surgeon units of Kharkov Region Clinical Hospital on initiative of the Faculty Surgery Department and recommendation of academic V.M. Shamov. In the same time Kharkov Region Clinical Hospital acquired narcosis devices «Krasnogvardeets» that allowed to use endotracheal narcosis. First in Kharkov the surgeon N.I. Obolentsev had used endotracheal narcosis with using of myorelaxants (diplacine). In 1957 the anesthesiology group was recreated in the anesthesiology-resuscitation unit of Kharkov Region Clinical Hospital. In 1959 the Faculty Surgery Department had got a rectorat of Kharkov Medical Institute permission to organize facultative lectures on anesthesiology-reanimatology for 6th course students of Cure faculty. In 1963 on the base of the Faculty Surgery Department and the anesthesiology-resuscitation unit of Kharkov Region Clinical Hospital the Docent Course of anesthesiology-reanimatology had been created with chief N.I. Obolentsev. In June 1974 on the base of the Docent Course it had been organized the Department of Anesthesiology and Reanimatology of KMI that was headed by docent V.V. Zverev (1974‑1977). In 1977 it had been elected professor N.I. Obolentsev as the chief of the Department. Regarding on close connection of emergency with intensive care and anesthesiology in October 1997 rectorat of KGMU decided to extend the Department and to change the name to the Department of Emergency States and Anesthesiology with the chief I.A. Grigorova, MD. From September 1999 the chief of the Department of Emergency States, Anesthesiology and Intensive Care is professor Khizhniak Anatoliy Antonovich, MD. From September 2016 the chief of the Department of Emergency States, Anesthesiology and Intensive Care is professor Volkova Julia Viktorivna, MD.